Well, here it is, almost my birthday. Tomorrow we head north with some friends for wine tasting, fine dining, and some spectacular Pacific Ocean viewing. But today is just the two of us at our go-to Thai restaurant. 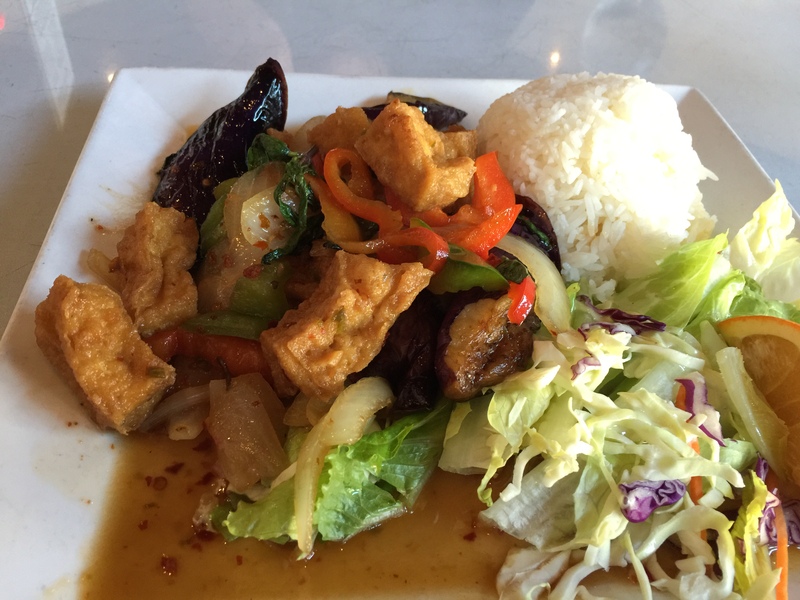 We order our favorite, #12, Spicy Thai Basil Tofu with Eggplant. It does not disappoint. I need to learn to make this at home! Spicy Thai basil tofu with eggplant. This entry was posted in rice, Vegan, Vegetables, Vegetarian and tagged basil, Eggplant, rice, tofu. Bookmark the permalink.